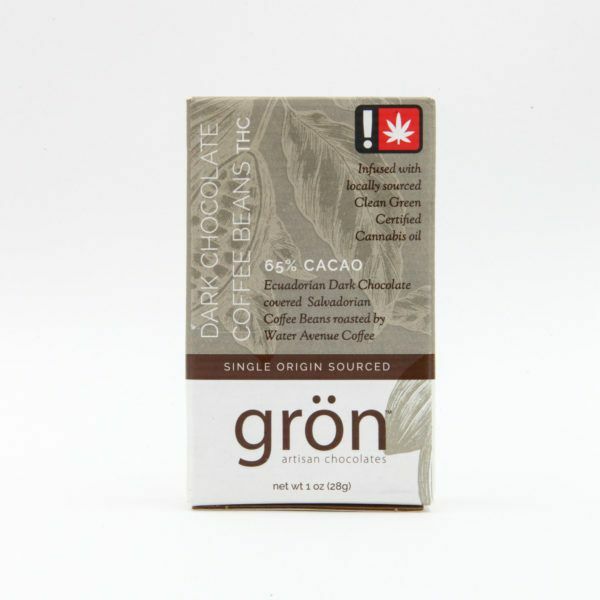 Grön makes every sphere of their melt-in-your-mouth chocolate using hand harvested, fair trade cocoa beans. These bits are whole hazelnuts covered in their well crafted milk chocolate. With just over half the weight of their chocolate bars and nut center, these treats are a wonderful option for those who don't want to eat a generous quantity of chocolate per cannabinoid serving but still want a cocoa based edible. Accompanying the delicious flavor comes a balanced dose of CBD and THC to provide relief and a light cerebral stone to help cultivate euphoria and a general calm over the world.